Let me explain how to choose the best forex broker to help you decide which one is right for you. Here is a summary of the criteria that you should consider but please continue reading for more details. There are a plethora of forex brokers to choose from and new ones being established every year. Since there are so many, the forex trading industry is very competitive and this is a good thing for traders. The forex broker with the biggest marketing budget can potentially attract a lot of new business, particularly the beginner. However, just because they have a big marketing budget does not necessarily make them the best forex broker to trade with. Once you receive some education and experience from reading blogs and possibly interacting with others on forums, you will become even more aware about the many choices available. 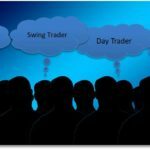 This might lead you to shop around for better trading conditions and it is not unusual for any trader to trade with multiple brokers throughout their trading career. Some traders even have trading accounts with different brokers to help them diversify risk and to receive a multiple benefits. This list is not exhaustive and is in no particular order, but I want to start with what I believe is the most important. After that, how to choose the best forex broker to trade with will depend on your own preferences and requirements. This is just a general guide. A forex broker’s reputation extends to more than just the financial services license they hold and what authority regulates them. A good reputation is everything because then you would expect to be treated fairly. You can start right by choosing a broker that has a solid reputation in the market and who is also licensed and regulated by a respected governing authority. Both of these points are somewhat subjective. Different regulators from different jurisdictions also offer different layers of protection to investors depending on the country of residence. For example, some jurisdictions have an investor compensation fund while others do not. This means that investor’s funds are protected and insured up to a certain amount in case the forex broker files for bankruptcy. However, all forex brokers are required to keep client funds in a segregated account. They cannot use your money for their day to day operations. So even if they do end up filing for bankruptcy, the receiver tasked with winding down the company should still be able to return client funds back to the original funding source. When you visit a forex broker’s website, their license number along with who they are regulated by can usually be found in the footer. They may also mention what countries residents are prohibited from opening an account with them. Some forex brokers also have several licenses from multiple jurisdictions as part of their commitment to compliance and the regulatory framework. This also demonstrates that they take the safety and security of your funds seriously. Once you have this information, you can visit the regulators website to verify their license number against the financial services register. If they hold a valid license, they will be on the register. Another thing that can help you determine a forex broker’s reputation is how they are perceived in the market place by their existing clients. Reviews can help you get a better idea about the experiences of others trading with the forex broker you are interested in before you open an account. Trust Pilot is one independent review site you can check. Some forex brokers even display their Trust Pilot rating on their website. When choosing a forex broker, it would be a good idea to also check how long they have been in business for, or the year that they were established. You can normally find this information on the about us page on their website. A forex broker with a successful business model will have a longer track record and is more likely to be around for years to come. How to choose the best forex broker also depends on your own trading requirements. Forex brokers either have a market makers business model or they are part of an Electronic Communication Network (ECN). The difference between the two is that the former keeps your deals or orders in house and the latter processes them with an external liquidity provider. ECN is the best technology the industry has, but some well capitalized market makers also act as liquidity providers. In the forex market, someone is always making a market for someone else. These should be as tight and as low as possible because it will mean that you have a lower cost of trading. The spreads vary between brokers, currency pairs and asset classes. This information should be available on the broker’s website or you can register a demo account to check the trading conditions before opening an account. Swaps change in line with the monetary and economic policy of the respective central bank. 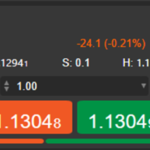 The forex broker has limited control of these however, they can and do put their own small spreads on these too. Swaps will vary from one forex broker to the next but those that offer the MT4, MT5 and cTrader platform usually debit or credit your deal depending on the currency pairs you are trading. Some brokers will only debit you deal or charge a roll over fee when you trade on their proprietary platform. Check the broker’s website for more information. This can make all the difference to your trading results, particularly in regards to the profitability of a deal. Most brokers do execute your deals within milliseconds though so we may be splitting hairs here. However, when you want to buy or sell during fast moving markets, it is important that your deal gets filled at the quoted price or as close to the quoted price as possible. Flash crashes and black swan events do happen in the markets and it is possible to lose more than your deposit or balance. Some forex brokers provide negative balance protection and EU regulated brokers are now required to do so. This ensures that you can’t lose more than what you have deposited to your trading account. Another way to help avoid a negative balance is not to trade under capitalized or over leveraged. This is within your control by risking only a small percentage of your balance at any one time. Some traders like trading with higher leverage while others are not too concerned about it. Trading using high amounts of leverage is risky because you can potentially to lose your investment faster. There may be some advantages too, such as magnifying potential profits but if you are more concerned about capital preservation then using higher amounts of leverage becomes less relevant. Leverage restrictions may also apply depending on the broker’s jurisdiction. Forex brokers have evolved over the years to expand their product offering to other asset classes. Nowadays, you can also trade commodities, indices, stock CFD’s and cryptocurrency. Some brokers also offer more currency pairs than others and the more markets you have access to, the better. This means that you can take advantage of different opportunities from a single trading platform. If your main or only interest is forex, then all the brokers offer the major currency pairs, a great selection of the minors as well as some exotic currencies from most continents. We have written an article that explains the differences between an ECN vs Standard account. Basically the differences are between ultra-tight variable spreads with a separate fixed commission or a higher spread without the separate fixed commission. The former is usually the most competitive option. Some forex brokers also provide preferential or VIP services depending on the size of your investment or trading volume. Further to this, you may also have a choice between a hedging and a netting account. With the former account type, you can be both long and short the same currency pair at the same time. With the latter, you can only be long or short the same currency pair. Any subsequent sells will be netted off of long positions and any subsequent buys will be netted off of short positions. Most traders prefer the hedging account and non US brokers usually provide this by default. 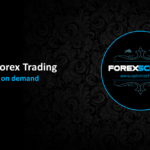 The most popular forex trading platform on the market at the moment is MT4. This is a trading platform developed by MetaQuotes, which they license to forex brokers. They also developed its successor, which is MT5. Nearly all forex brokers offer MT4 because it has been widely adopted by the forex trading community. There is not much in the way of trading platforms that separates forex brokers unless they develop their own. Some have but it is far easier to offer something that is familiar and already widely adopted. Those that have their own trading platform usually offer MT4 as well just because of its mass appeal. Another great option is the cTrader platform developed by Spotware. This is a feature rich and easy to use trading platform offered by some brokers. All these platforms are accessible and available as a desktop download, through a web browser or a smart phone application. You literally can trade from anywhere with any forex broker. What platform you choose depends on your preferences. Forex brokers want to make it as easy and as convenient as possible for you to fund your trading account. For this reason, most of them offer a variety of funding methods and a low first time minimum deposit requirement to help you get started. Typically, you can fund your account and start trading from as little as $200. The best forex brokers will accept credit/debit card, bank transfer and some kind of e-wallet like PayPal, Skrill or Neteller. Furthermore, they should not charge you to deposit funds and free withdrawals are a great benefit. This does vary much depend on the method used. In most cases, the forex broker will absorb any credit or debit card processing fees but bank transfers usually have a cost. You might have some questions before opening your trading account. 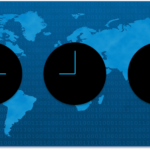 This is the ideal time to test the forex broker’s customer service and response times. You can most probably contact all forex brokers in these ways. Since forex is a global business, they might have translated their website and provide multilingual support to assist you in your native language. This is always a good indicator that they are doing a lot of business in those respected countries. If you are interested in several brokers but you are not sure which one to go with, why not contact them all. A friendly voice on the telephone or a knowledgeable person responding to your email might help you to choose the best forex broker to trade with. There is a chance that you might like them all so there is nothing stopping you from opening several accounts at the same time. This is how you will really know how to choose the best forex broker because you would get to test their live trading conditions and experienced the full range of their customer service first hand. Opening a trading account is quick and simple. Anyone over the age of 18 that can prove their identity and residential address can start trading with a relatively small amount of money. To help you get started trading, forex brokers might provide you with a platform tour or education and regular webinars. Along with this website, there is plenty of help out there. Some forex brokers are able to provide you with trading signals from a third party and the ability to copy other traders. 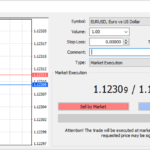 MT4, MT5 & cTrader have copy trading features built in to the trading platform. So you could mirror the trades of other traders automatically simply by subscribing to their signals. You might want something more sophisticated and the best forex brokers want to cater to these requirements too. For instance, some algorithmic traders have proprietary systems that trade in high frequency. They might require a FIX API (Financial Information Exchange, Application Programming Interface) to communicate directly with the trade server. This allows them to bypass the trading platform altogether. Other algorithmic traders might want a virtual private server (VPS) for their expert adviser (EA) so their computer isn't on all the time. VPS’s also improve execution speeds and this has wider appeal. These features might make all the difference in how you choose the best forex broker to trade with. This is a moot point but one that should be mentioned before closing this off. Some would say that you should not judge a book by its cover. Especially since most trading is done on downloadable platforms. However, every broker will make an impression on you by the way they present themselves. Their online presence and site usability experience is how they do that. Does their brand resonate with you? You might need fewer reasons to choose them or not then. I hope you are more informed about how to choose the best forex broker now.